Found this review on 'Amazon' in a book review of the Israeli theft of American highly enriched uranium that helped Israel build its nuclear arsenal. This is a joy to read, since it relies so much on sarcasm. Sarcasm that is edging closer to the truth each day, as this video shows, courtesy of the incisive mind at "Fig Trees and Vineyards." Can You Feel the Hate? The book, "Divert! : Numec, Zalman Shapiro and the Diversion of US Weapons Grade Uranium Into the Israeli Nuclear Weapons Program," is a true story of American traitors helping Jew saboteurs steal from America. This book is, pure and simple, anti-Semitic hate propaganda. If Israel decides to do something - like harmlessly appropriate extra weapons-grade Uranium that the US probably didn't need anyway - there is a good reason for it and we as Americans should accept Israel's explanation or, if Israel chooses not to explain, we must accept on faith that what Israel is doing is good for Israel, and therefore, good for the US. A person who questions the fact that whatever is good for Israel is also good for America is probably an anti-Semite or a terrorist. 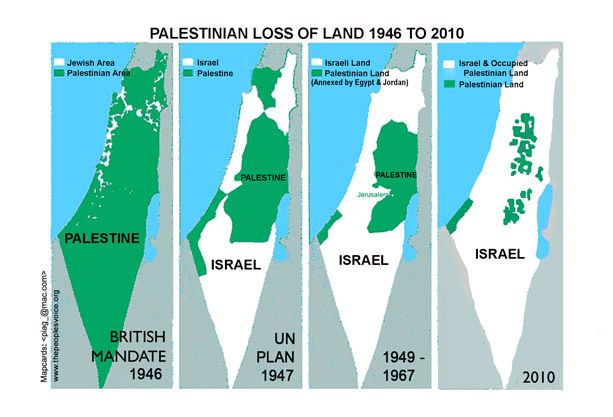 Israel, being chosen by G*d, is the steward of humanity therefore Israel is conceptually incapable of "crime" as such. In short, if Israel does it, it is no crime. We non-Jews must accept this and accept the fact that we, as non-Jews, are in most cases just not intelligent enough to understand that everything Israel does is good, even if we can't see how. To accuse Israel of a "crime" either collectively or through its agents is not acceptable, and hopefully in the future such accusation - no matter how deceptively "documented" or "well-founded" - will be treated as a crime itself. Surely it should be. We as Americans must learn that we have to put the safety, security, prosperity and well-being of Israel first and foremost before our own selfish, narrow minded interests like "patriotism," "the Constitution" or "the middle class." Americans need to be asking themselves everyday - every minute of everyday - how they can use their positions in business and government to help Israel. Zalman Shapiro did just that and Americans should applaud him for this great mitzvah he fulfilled on behalf the Jewish State. Placing dogmatic and short-sighted prejudices like "loyalty" to one's country over the Law of honoring Israel is, at bottom, a virulent form of idolatry that must be addressed (ideally, in some kind of binding Noahide court) every bit as much as overt anti-Semitism itself. The kind of naked appeals to "nationalism" which implicitly undergird the very purpose of writing a hateful book like this are what led to the Holocaust in the first place. The blessed and holy Talmud of Babylon says, "All of Israel have a portion in the world to come," therefore Zalman and NUMEC cannot be "guilty" of anything in any meaningful sense of the word. The Babylonian Talmud (Amoraic Babylon, A.D. 500) is the absolute final word on all moral law, therefore, it is not the place of uppity Americans to question why Israel uses the resources of the US in the manner which she does. Israel is chosen by G*d, therefore it is up to Israel to decide how the US disposes of its weapons-grade uranium. Any American not willing to accept that fact should move to the West Bank or Norway and await their fate with the rest of the anti-Semites and terrorists. The Talmud also clearly and infallibly states (in Tractate Sanhedrin 58b) that to "strike" a Jew is the same as if one struck the holy countenance of G*d himself, so surely to strike at the Jewish state the way in which this book does by attempting to profane the blessed and Holy Name of Israel, is a criminal assault on G*d himself. "Wide Awake Gentile" blog gives more details about another Israeli stab in our collective backs. Israel steals from Americans; Israel lies to Americans; Israel uses their control of those 'Too Big to Fail' Wall Street casinos and the FED to control and ransack our economy; Israel attacks and kills Americans on a regular basis and all those ME and African wars are for Israel's benefit, so why in the hell are so many Americans in love with that nation of parasitic gangster? 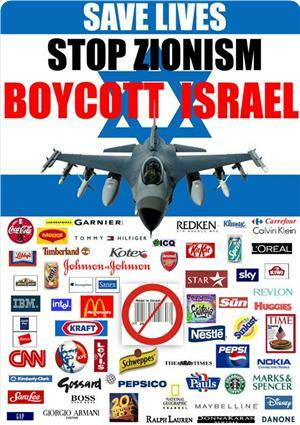 "The Israel Lobby Archive" web site has numerous stories about Israel lies, thefts, bribes, spying and a host of other illegal activities American and Israeli Jews conduct regularly against the USA. Only read this if you have a strong stomach and are allergic to FOX N***. In the early 1960s, the Atomic Energy Commission (AEC) began documenting suspicious lapses in security at the Nuclear Materials and Equipment Corporation (NUMEC) in Pennsylvania. In 1965 an Atomic Energy Commission (AEC) audit found that NUMEC could no longer account for 220 pounds of highly enriched uranium. The amount of missing uranium could "make at least four or five nuclear weapons" according to the report. In 1966 the FBI opened an investigation code-named DIVERT and began monitoring NUMEC's management and large numbers of Israeli visitors. On Sept. 10, 1968, four Israelis visited NUMEC's president to "discuss thermoelectric devices with [Zalman] Shapiro," according to correspondence from NUMEC's security manager seeking official AEC consent for an Israeli visit. Among the approved visitors was Rafael Eitan. After Eitan's visit, 587 pounds of highly enriched uranium was classified as missing. 1. "The material was illegally diverted to Israel by NUMEC management for use in nuclear weapons." 2. "The material was diverted to Israel by NUMEC management with the assistance of the Central Intelligence Agency (CIA)." 3. "The material was diverted to Israel with the acquiescence of the United States Government." 4. GAO inquired whether "there has been a cover-up of the NUMEC incident by the United States Government." The GAO officially concluded that the federal efforts to resolve the matter were "less than adequate." GAO charged the FBI "which had the responsibility and authority to investigate the alleged incident, did not focus on the question of a possible nuclear diversion until May 1976, nearly 11 years later." The GAO found other serious lapses in the FBI investigation. "GAO found that certain key individuals had not been contacted by the FBI almost 2 years into the FBI's current investigation." "Please America, WTFU before its too late!"